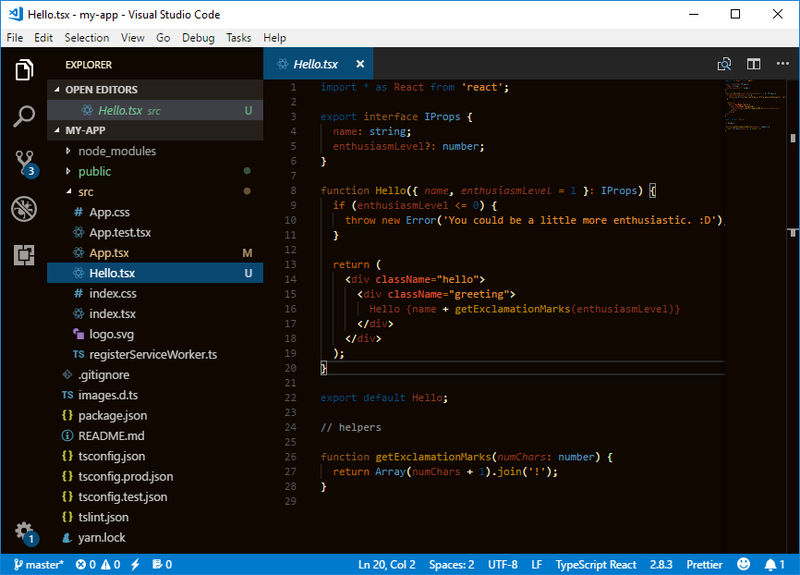 Visual Studio Code>Themes>Dark Autumn Frost ThemeNew to Visual Studio Code? Get it now. Type theme and choose Preferences: Color Theme, then select Dark Autumn Frost. or from within VS Code by launching Quick Open and running the Install from VSIX... command. The project is structured to have all the colors defined in src/settings.js and the Theme file themes/theme.json to be built using the command gulp build. Any editing of scopes should happen in src/theme.json. This project uses standard-version to prepare CHANGELOG.md and tag the project. Then verify that your CHANGELOG.md and your package.json look correct. As long as your git commit messages are conventional and accurate, you no longer need to specify the semver type - and you get CHANGELOG generation for free!